As people get more tech savvy by the minute, homes should then adapt to provide all the creature comforts every person needs. Automated home systems for temperature, security, and even entertainment are now a growing market. Many homeowners are tempted to upgrade by giving their abodes modern amenities, such as smartly-designed motorized shades and window treatments. 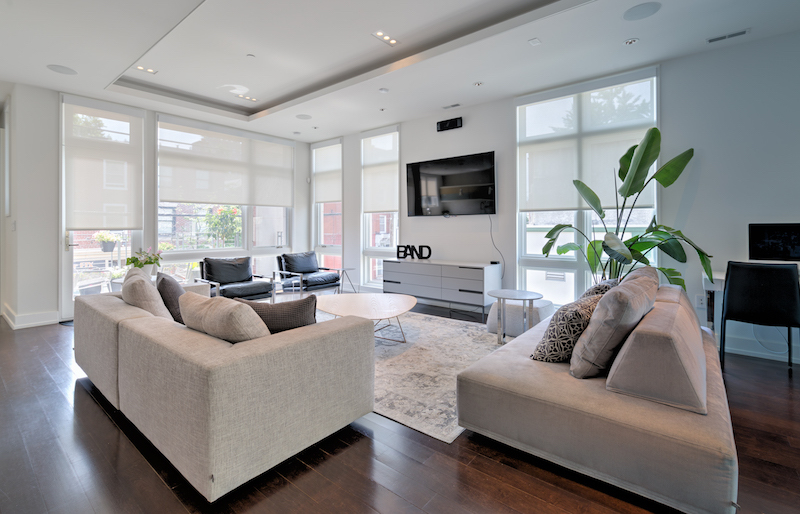 The biggest come-on for installing motorized shades in homes is the noticeable decrease in energy expenses. According to sources, with the right type of window treatments, you can expect cut down on your power consumption by up to 25%. During warm months of the year, like in June, July, or August, you won’t need to overuse your air conditioning as much. Your shades and blinds can reflect the summer heat and keep it from entering your windows. As the chilly December and January weather rolls in, blinds and shades may be insulated to keep everyone at home warm. Another great thing about these window installations is that they can adjust depending on the amount of light you need to bring indoors. You won’t have to switch on every lamp or light bulb when you’ve got loads of natural light coming in. There are designs for blinds and shades that adapt to provide adequate light for your homes, depending on the time of day. Beyond helping maintain ideal temperatures in your rooms, properly installed motorized shades and blinds offer many other perks. For one, you won’t need to exert yourself when opening and closing shades in the home. With just a flick of a switch or a touch of a button, you can draw your shades to simultaneously let light in. Plus, as automated window covers now do without cumbersome cords or tie-downs, your rooms can be safer for your pets and your children. As there is a wide array of styles of curtains, drapes, and shades to choose from, so should you be mindful about the design of your wallpaper. Homeowners know that every room’s overall theme is top priority, and this is why every design element must come together nicely.